On Saturday, April 2, a woman was speeding along on Michigan Avenue near Trumbull on a stretch of bumpy and deteriorated road when she allegedly stuck another car that in turn struck a man who came to Detroit from Pelkie. His body was thrown over a fence, where he was pronounced dead. According to news reports, 33-year-old Shayla D. Tucker was driving the vehicle that started the chain reaction. The vehicle she struck at approximately 1 a.m. then struck 35-year-old Paul Pesola, whose body was propelled over an eight foot high fence into the former Tiger Stadium grounds. Initially police believed Pesola’s death was a homicide, however they put two and two together and connected his death to the prior morning’s crash the next day. Tucker was taken to an area hospital before being taken into custody by police. She has been charged with Reckless Driving Causing Death, and is scheduled to be arraigned on April 8. Reckless driving causing death is a felony offense leaving those found guilty facing a maximum of 15 years in prison. In most cases, those convicted will be sentenced to between 5 and 7 years. Other penalties include driver’s license revocation, and possible vehicle immobilization or forfeiture. Being a convicted felon and having a criminal record will have an enormous negative impact on a person’s life. Employers often choose not to hire convicted felons; additionally, it may be difficult to secure housing or get a bank or student loan. 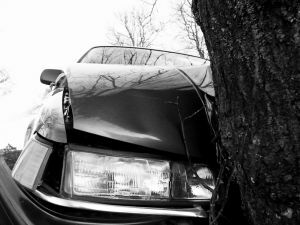 If you have been charged with reckless driving causing death or any felony offense, your first step should be to consult with a seasoned Michigan criminal defense attorney. It is important that your legal rights are protected from the very beginning, before police trip you up or get you to say something that may further incriminate you. Legal guidance and support are also critical in protecting your freedom and working toward the best possible result. No one wants to spend years behind bars, and there may be options to help you avoid this outcome. Contact a skilled defense lawyer right away.